Iconic brands run deeper than a logo, span distance further than a specific time period and establish an appeal that define the attitude for generations. 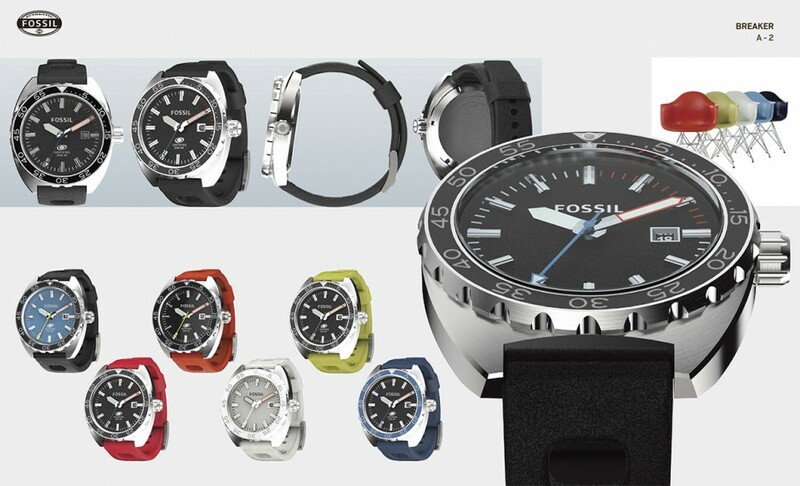 Fossil is such a brand, known first for their vintage-style watches, spanning the gamut of lifestyle and fashion accessories from handbags and jewelry to clothing, wallets and an array of gear for your tech. Producing the imagery for these products requires an exact eye for the detail that would be matched in a photography shoot. Using KeyShot, Fossil has achieved this, refining the design process along the way and releasing amazing products rooted in vintage design. 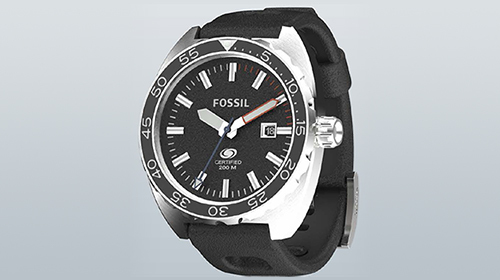 Brad Piercey, Design Development Manager at Fossil, tells us more. Fossil is a global retailer specializing in the design, innovation, and marketing of fashion lifestyle and accessory products. At the heart of the Company’s vision is a commitment to fostering creativity and delivering the best in design through its two core businesses: Fossil brand; and a multi-brand watch business. The Fossil brand is rooted in authenticity and a distinctive vintage-inspired design aesthetic. With over 390 stores worldwide and a strong global e-commerce business, the brand is internationally known for its eclectic assortment of lifestyle and accessory items including watches, handbags, and clothing. The Company also creates fashion accessories for a number of other owned and licensed brands including MICHELE, Zodiac, Relic, Emporio Armani, DKNY, Armani Exchange, Michael Kors, Diesel, Burberry, Marc by Marc Jacobs, Adidas, Skagen Denmark, and Karl Lagerfeld. The Company is constantly developing its multi-brand portfolio through its core competencies in innovative branding, world-class design, and dynamic global distribution. Most recently, KeyShot aided in the development of their Limited Edition Diving Watch, called Breaker. It’s a watch with 554 pieces, rated at 200 meters and launching in July. “We wanted to capture a great vintage find that you might buy at a curated boutique or website for thousands of dollars.” Brad says.